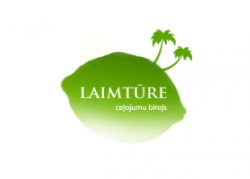 Travel company "Laimture" was established in 2000. Today our company is one of the leading incoming and outgoing tour operators in Latvia. We offer avia and bus tours around Europe. We supply a full range of services for groups and individuals travelling in Lithuania, Latvia and Estonia. We organize sightseeing tours to Scandinavia and the Baltic States. Additional services: hotel reservation, SPA and recreation tours, tailor made packages for individuals and corporative groups.